Browsing through Amazon today, I came across a nice deal going on for the MXR M-101 Phase 90. 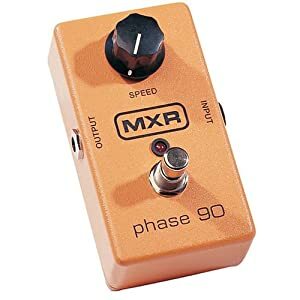 If you’re thinking about picking up a nice solid and classic phaser, it’s hard to be the MXR Phase 90. Currently on Amazon the MXR M-101 Phase 90 is on sale for $66.17 which also comes with FREE super saver shipping. That’s 52% off of MSRP. The MXR Phase 90 are selling for $74.43 at Musician’s Friend right now, so it’s a little cheaper. Click here to check out the MXR M-101 Phase 90 at Amazon.